Monte Carlo /ˈmɒnti ˈkɑːrloʊ/ ">[ˈmonte ˈkarlo]; French: Monte-Carlo, pronounced: [mɔ̃te kaʁlo], or colloquially Monte-Carl, pronounced: [mɔ̃te kaʁl]; Monégasque: Monte-Carlu) officially refers to an administrative area of the Principality of Monaco, specifically the ward of Monte Carlo/Spélugues, where the Monte Carlo Casino is located. 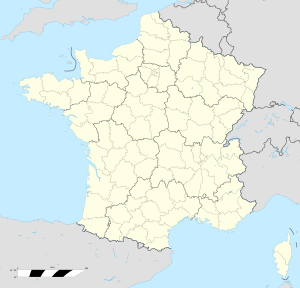 Informally the name also refers to a larger district, the Monte Carlo Quarter , which besides Monte Carlo/Spélugues also includes the wards of La Rousse/Saint Roman, Larvotto/Bas Moulins, and Saint Michel. The permanent population of the ward of Monte Carlo is about 3,500, while that of the quarter is about 15,000. Monaco has four traditional quarters. From west to east they are: Fontvieille , Monaco-Ville , La Condamine, and Monte Carlo. Monte Carlo /ˈmɒnti ˈkɑːrloʊ/ ([ˈmonte ˈkarlo]; French: Monte-Carlo, [mɔ̃te kaʁlo], or colloquially Monte-Carl, [mɔ̃te kaʁl]; Monégasque: Monte-Carlu) officially refers to an administrative area of the Principality of Monaco, specifically the ward of Monte Carlo/Spélugues, where the Monte Carlo Casino is located. 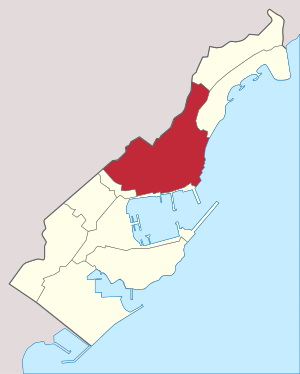 Informally the name also refers to a larger district, the Monte Carlo Quarter (corresponding to the former municipality of Monte Carlo), which besides Monte Carlo/Spélugues also includes the wards of La Rousse/Saint Roman, Larvotto/Bas Moulins, and Saint Michel. The permanent population of the ward of Monte Carlo is about 3,500, while that of the quarter is about 15,000. Monaco has four traditional quarters. From west to east they are: Fontvieille (the newest), Monaco-Ville (the oldest), La Condamine, and Monte Carlo. The eastern part of the quarter includes the community of Larvotto with Monaco's only public beach, as well as its new convention center (the Grimaldi Forum), and the Monte-Carlo Bay Hotel & Resort. At the quarter's eastern border, one crosses into the French town of Beausoleil (sometimes referred to as Monte-Carlo-Supérieur), and just 5 miles (8 km) to its east is the western border of Italy.